When looking at this New World Virrey (a 6 x 58 Gordo), from A.J. Fernandez Cigars, "outstanding" is the first word that come to mind. 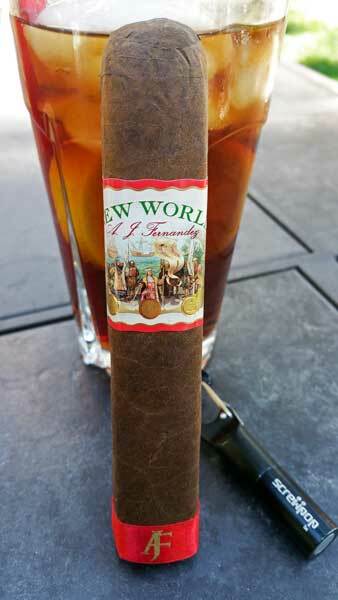 The New World Gordo is has two nice looking bands, it's box pressed, plus the dark, Nicaraguan Oscuro colored wrapper is rolled on with seamless care and it's practically vein free. When checking the cold aromas, there sweet floral notes to the nose from the foot and the free draw has notes of toasted fermented tobacco. Once burning the filler blend of ligeros from Esteli, Condega and Ometepe produce a nice volume of medium bodied smoke with flavor notes of toast, brown sugar and nuts. As the burn enters the cigar's second third there are added notes of caramel, oak and molasses while the body moves toward the full range. Near the cigar's mid point the burn took off a bit and the cigar needed a quick correction. By the final third the body moved into the full range as the flavors shifted again. The tasty brown sugar was back with notes of earth and charcoal which created a long tasty finish. Overall this was a great cigar. 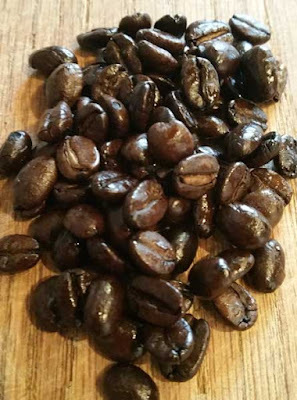 The burn did need correction a total of three times before tossing the the nub, but the great full bodied flavor mix and a long 105 minute smoking time more than made up for that small hassle. The New World Virrey From A.J. Fernandez Cigars is another winner in my book. Another thing that's great about this cigar is the price point. You can pick these up from Famous Smoke Shop in boxes of 21 for less than six bucks a stick. That's a real deal on a cigar with this much flavor. By the way, if you look closely at the main band, it says: "satisfaction guaranteed", and I was! This sample was provided for review by the Creativas Group. Thank you! Bright and crisp, yet soft and supple, this Costa Rica Geisha brewed into one of the finest cups I've had the pleasure to sip. After first cracking the bag open, I knew this Costa Rica Geisha was going to brew into a great cup. The aroma of ripe tree fruit hit me instantly and after grinding, the aromas really bloomed. When hot water saturated the ground coffee in the pour-over cone, the aromas changed slightly with added notes of light spice and toast. With the pour-over complete an enticing aroma of sweet toffee radiated from the hot cup to greet my nose. Extraction on this pour-over was spot-on, the first sips were light, bright and crisp, but at the same time smooth, mouthwatering and perfectly balanced. After the coffee cools a bit the brightness builds a little, but it's still delightful, well balanced and delicious. From the first to the last sips the flavors of this Geisha were fantastic. The first sips had nuances of sweet toffee, with just a bit of mixed tree fruit (sweet with just a hint of tart), and toasted nuts, with a pleasant, light earthy aftertaste on the palate. As the coffee cooled the flavor morphed tasting more like caramel mixed with nougat as the primary flavor and just a hint of fruitiness. 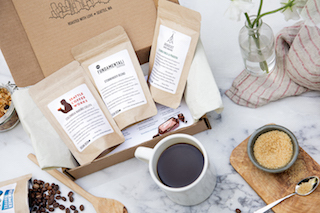 This sample was provided for review by Bean Box. Thank you! Superb construction and a complex flavor mix contributed to a great overall smoking experience from this Sabor de Esteli Robusto by Guayacan Cigars. Construction of the Sabor de Esteli is nothing short of top notch. A binder and fillers from Nicaragua are wrapped in a Colorado colored San Andreas wrapper that's nearly vein free. From the cold foot there are light notes of fruit to the nose while the free cold draw has notes of sweet fruit. Once burning the first medium bodied puffs were flavorful with a mix of toast, mild tree fruit and light brown sugar. As the burn progressed up the body more flavors jumped in. There were hints of white pepper, nuts, cocoa, oak and espresso. In the final third the body moves into the full range and the cigar finishes it's fifty minute burn with nice notes of fermented tobacco, toast, caramel and a sweet lingering aftertaste on the palate. Overall this Sabor de Esteli Robusto was a real treat to smoke. If you have the chance to pick on up, don't pass it up. 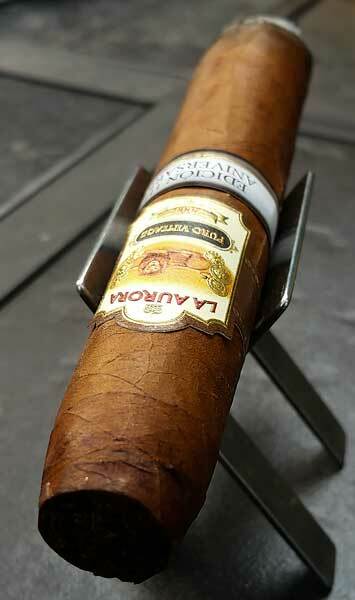 Guayacan Cigars is a member of the House of Emillo who provided this sample for review. 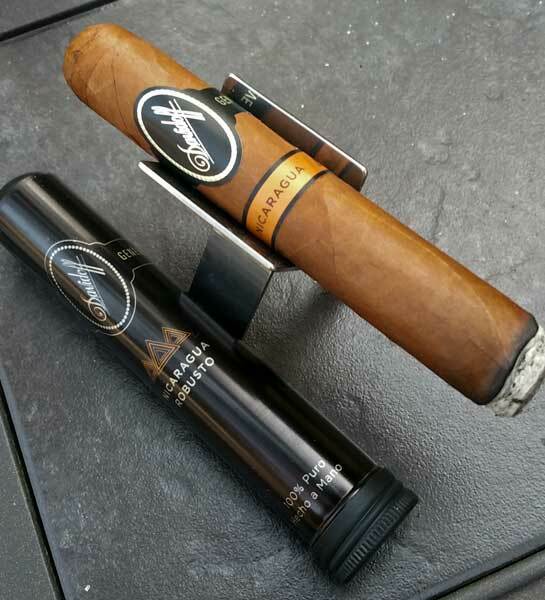 Today we're taking a look at the Davidoff Cigars Nicaragua Tubo Robusto. Although I reviewed this cigar last year, that cigar came from a non-tubo promo pack included with humidor I won from Davidoff Cigars in 2014. Construction wise the two cigars are identical, but of course they should be. The Colorado Claro colored Nicaraguan Rosado wrapper is flawless with smooth, nearly invisible seams and only the finest of veins. Under the wrapper of this well packed cigar there's a Jalapa binder covering long fillers from Esteli, Condega, and Ometepe. 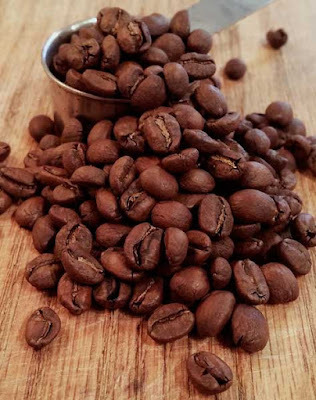 From the cold foot there are notes of toasty fermented tobacco to the nose and the cold draw produces sweet notes of tree fruit with just an added hint of spice. 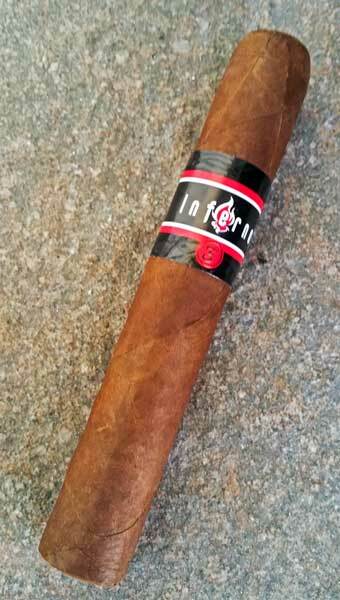 Once burning the cigar produced nice mouthfuls of mild bodied smoke with notes of toasted oak and a bit of spicy cedar. As the razor sharp burn moved up the body, notes of nuts, brown sugar and caramel joined the mix. Just past the halfway point the strength moved into the medium range and there were some light hints of anise. The cigar finished its sixty-five minute burn with more notes of spicy cedar. Overall I really enjoyed this cigar, it didn't have a complex flavor mix, but it was smooth and delecious full length. You can find these Davidoff Nicaragua Tubo Robusto cigars at FamousSmokeShop.com go ahead, give them a try! This sample was provided for review by FamousSmokeShop.com. Thank you. 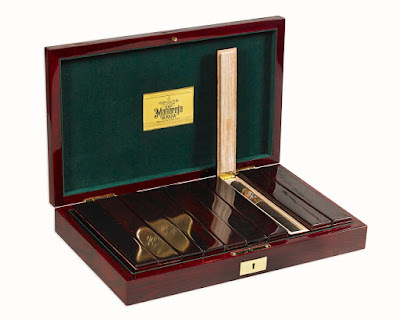 While Gurkha’s original super premium luxury cigar the ‘His Majesty’s Reserve’ is infused with Remy’s Louis XIII Cognac at $2,400 a bottle, the ‘Maharaja’ is not infused. It is, however, a secret blend of the best quality tobaccos available. The beautiful maduro wrapper pairs Dominican binder and fillers to create a smooth and sweet taste on the lips. To be enjoyed by true cigar connoisseurs, the Gurkha Maharaja is medium bodied and one of a kind. It retails for $2,000 a stick. Steeped in legend and rich in history, Gurkha Cigars were named after Nepalese warriors whose bravery impressed the British soldiers. The company was purchased by Hansotia in 1989 with the intention of giving the cigars as unique gifts to customers of his family’s watch business. As a result, the company has been reborn and become one of the most famous brands of luxury cigars in the world. Bill Clinton, Bill Gates, Carlos Slim and an assortment of global dignitaries, world leaders, government officials and celebrities as well as the Special Forces and Seal Team Six are all clients. Having extraordinary quality, premium blends of tobacco and a reputation for unparalleled excellence, Today Gurkha produces eight million cigars per year. 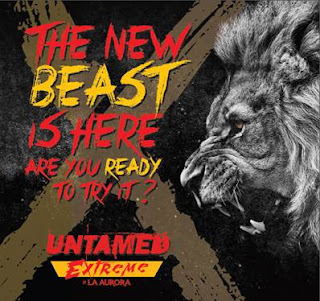 They are sold in more than 50 countries worldwide. Each Gurkha cigar provides a luxurious experience different from the last. 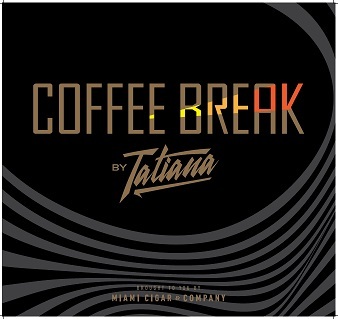 The Coffee Break by Tatiana is a 100% handmade premium cigar, made in the Dominican Republic. You probably already know that I'm a huge fan of pretty much every cigar A. J. Fernandez has a hand in. This recently released New World Connecticut falls right in line. 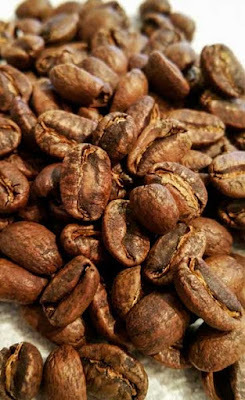 This tasty morsel starts with a claro colored shade grown Connecticut wrapper over a San Andres binder with fillers from Nicaragua and Brazil. 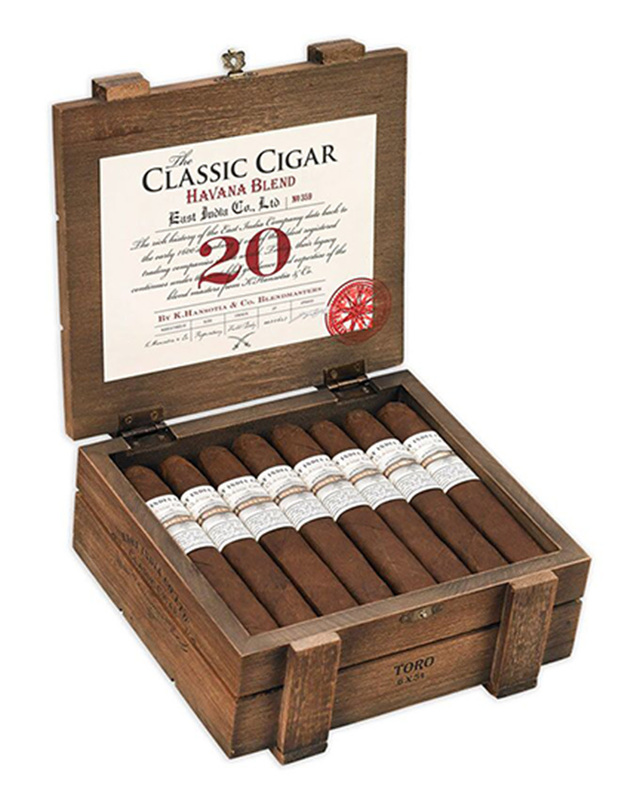 Looking at the cigar overall, the wrapper is rolled on in seamless fashion and you have look closely to find anything but very fine, spider web type veins. From the cold foot there are notes to the nose of spicy Spanish cedar, toast and a hint of sweet fruit. Testing the free cold draw there were again notes of spice and fruit. After toasting and lighting the foot the New World Connecticut produced nice mouthfuls of mild bodied smoke with notes of nuts, toast and a hint of spice. Around the mid point the strength builds just a bit moving into the mild/medium range. At this point the flavor mix shifts a little as there are notes of white pepper, toasted fermented tobacco, and hint of sweet cream. In the final third the flavor mix shifts again with notes of caramelized brown sugar, sweet cream oak and a bit of earthiness. The cigar finished it's burn with a nice fifty-five minute burn in the medium body range. Overall this New World Connecticut cigar was a tasty pleasure to smoke and I'll definitely add them to my "to smoke" list. I would like to thank Creativas Group for providing this sample. (Miami, Florida) July 13, 2015— A.J. Fernandez Cigars, known for producing consistently highly rated and sought after cigars, is proud to unveil “Enclave” at the 2015 IPCPR in New Orleans. 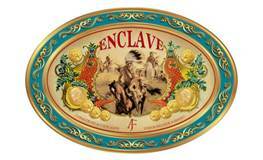 Following in the footsteps of the very popular New World cigar, the Enclave blend was a special collaboration between A.J. and his father Ismael Fernandez. After a couple month hiatus, I am finally back and working again. I'm a bit behind, but I will get to everything that's stacked up, just not at the fast and furious pace set before. Things have slipped with Mom. Her dementia has tightened its grip and helping her on a day-to-day basis is much more time consuming than any time in the past two years. I finally have a better grip on the time constraints and have even smoked a couple cigars that are ready to write up. If you would like the full story here's a link to my Alzheimer's blog that spells it all out in detail. I'm happy to be back and I hope everyone has a great day! 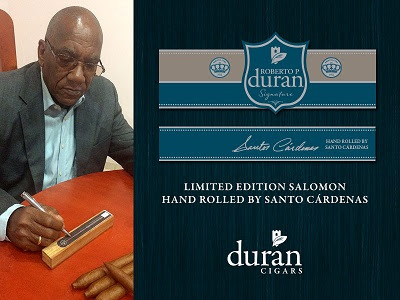 (Miami, Florida) July 8, 2015— Duran Cigars will be unveiling the Limited Edition Roberto P Duran Salomon rolled by Master Roller Crisanto “Santo” Cardenas at the 2015 IPCPR in New Orleans. The 7¼ x 57 Salomon comes in individual, hand signed and numbered, cedar coffins housed in 5 count boxes. All 3000 cigars have been personally rolled by Santo at our Nicatabaco factory in Esteli, Nicaragua. 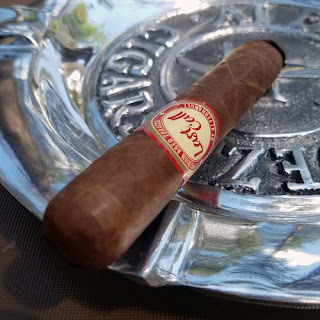 This limited edition cigar features the same Ecuadorian Habano Criollo wrapper of the Roberto P Duran Signature line with the blend slightly altered to Santo’s liking. About Santo Cardenas: Santo Cardenas’ resume encompasses over 55 years of experience, beginning in 1960 with H.Upmann at the Montecristo Factory in Havana, Cuba. Santo quickly gained notoriety for his blending skills, and became head of production for “Rey Del Mundo” Cigar Factory, and later head of production for the Partagas Factory. Santo became well-known globally, as he visited over 30 countries for promotion and demonstrations, as a representative for Cuban made cigars. Santo is considered by contemporaries as one of the most important cigar rollers and blenders in Cuba. Santo is currently the Master Blender for Duran Cigars. About Roberto Pelayo Duran: began his life’s work in his homeland of Havana, Cuba where tobacco grabbed a hold of him, and never let go. Supervising the production of cigar manufacturing in Cuba was only the beginning as he later went on to assemble and manage distribution of all Cuban cigar brands for Asia at The Pacific Cigar Company Ltd. The creation of Roberto P. Duran Premium Cigars has given Roberto the platform to introduce a brand of cigars that offer the same quality, construction, and detail which he demanded from those he supervised while in Cuba. 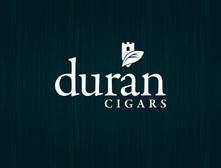 Roberto P. Duran’s brands include Azan, Roberto P Duran Signature, Neya, and Baracoa. The name Acme Cigar Company comes from an old U-S brand that was began in the late 19th century. The idea was to reinvent an old tradition for modern tastes. The cigars are being made at Nicaragua’s second oldest factory and one of the nation’s largest operations, Nicaraguan American Cigars SA, or NACSA, founded by legendary cigar maker Frank Llaneza, and the tobaccos come from Oliva Tobacco Company which has been in tobacco since 1934 and growing its own tobacco for cigars since 1959. The company owns one farm in Nicaragua and four farms in Ecuador and contracts many other growers who work exclusively for Oliva. Acme Premier Ecuador uses an Ecuador-grown Cuban seed Habano wrapper over a double binder of San Andres broadleaf and Criollo from Esteli and fillers from Nicaragua and the Dominican Republic. It comes in three sizes, 5” x 50 retailing for $7.40, 7” x 48 at $7.90 and a 6” x 54 for $8.40. 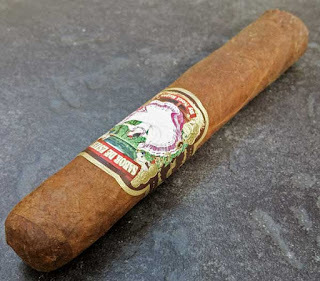 The Acme Premier San Andres uses the deep maduro San Andres Broadleaf wrapper over San Andres Broadleaf and Esteli Habano binders with 4 Nicaraguan fillers. It comes in the same three sizes as the Acme Premier Ecuador with the same suggested retail prices. All the Acme Premier cigars come in 12 count boxes. Acme Route 66 is a premium cigar priced as an every day smoke. It uses an Ecuador-grown Cuban seed Habano wrapper over a Jalapa Criollo binder and Nicaraguan, San Andres and Dominican fillers. Acme Route 66 comes in boxes of 20 in three sizes with retail pricing of $5.90 for the 5” x 50 Hot Rod Robusto, $6.40 for the 7” x 48 Chopper and $ 6.90 for the 6” x 54 Big Rig. The last size is unique. Also sold in boxes of 20, it is the 8.5” x 52 Tandem that has a cap on each end. There is a line of tobacco in the center of the cigar so it can be cut in half yielding two cigars out of one with a suggested retail price of $7.40. Acme Cigar Company is a partnership based in Dallas, Texas. It brings together a group of people with extensive tobacco experience on both manufacturing and retail levels along with experience in marketing in the sports and music industries. It is a sister company of AKA Cigars.